The summer sun is coming, which means the surfing season is just around the corner. What better country than Spain is there to catch some waves and enjoy the beach? If you are keen on the idea of studying Spanish and learning to surf, or improving, you should look no further! You can combine a Spanish course with surf classes, all in a well-structured timetable. 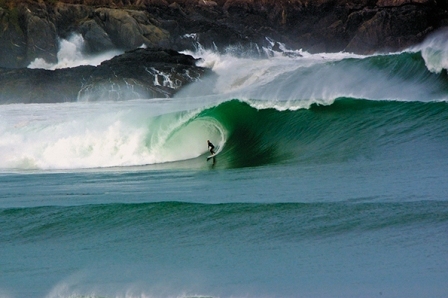 Mundaka, with the best waves in Europe, as well as Sopela, La Salvaje and Arrietara are only some of the amazing beaches that you can enjoy in the Basque Country. As you can see, our packages are flexible. The price includes all teaching materials. The equipment and board are included for the surf classes, as well as the supervision and guidance of our professional instructors. If you need accommodation, we can offer you shared flats, accommodation with a host family or in a student residence.